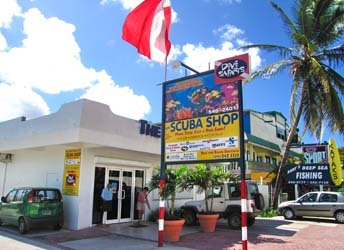 The Scuba Shop Retail - St. Maarten / St. Martin and the surrounding islands. More than just a dive shop! Our store is located in La Palapa Marina, between the Airport Boulevard (the main drag in Simpson Bay) and Simpson Bay Lagoon. We stock an impressive array and quantity of new items and spare parts. Everyone keeps telling us we really are the largest dive store in the Windward and Leeward islands. Living on another Caribbean island? 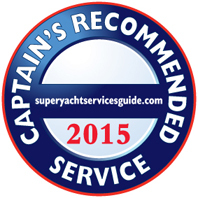 Not a problem - we can ship via DHL, LIAT or inter-island cargo boat. Email Us your shopping list and we will be happy to get back to you with a quote. We stock a complete selection of scuba and snorkel gear from Mares, Scubapro, AquaLung and Sherwood, dive lights from PrincetonTec, bags from Akona, dive computers from Mares, Scubapro, Sherwood and Suunto, aluminum tanks in 3 sizes and an extensive range of goodies, gadgets and accessories to keep the most demanding diver smiling. Please feel free to email us for quotes � our dive gear prices will surprise you they are so good! If you know exactly what you would like you can pre-order to have items ready for your arrival. Otherwise, once you are on island, you can touch, feel and try on the merchandise and make sure that everything fits and is comfortable. We have professional staff on hand to help and make sure that you purchase correctly fitting snorkel and scuba gear. At The Scuba Shop we also Wholesale both Snorkel and Scuba gear to qualifying customers within the Caribbean region. We have researched the rental market and selected the most appropriate items from each of our suppliers. Click here for more information if you are a Wholesale Customer. 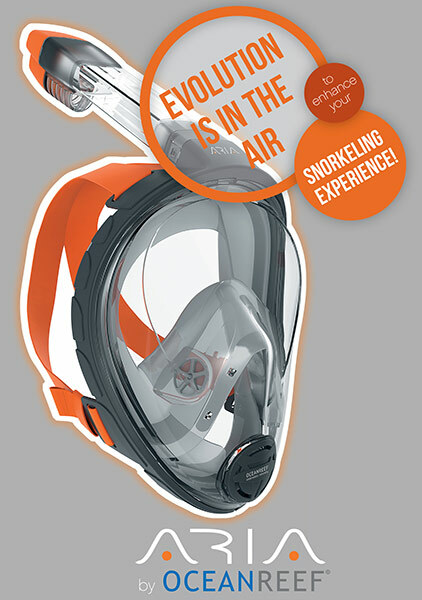 As Authorized Dealers, all snorkel and scuba goods we stock carry their manufacturers warranty. Not visiting our beautiful island? 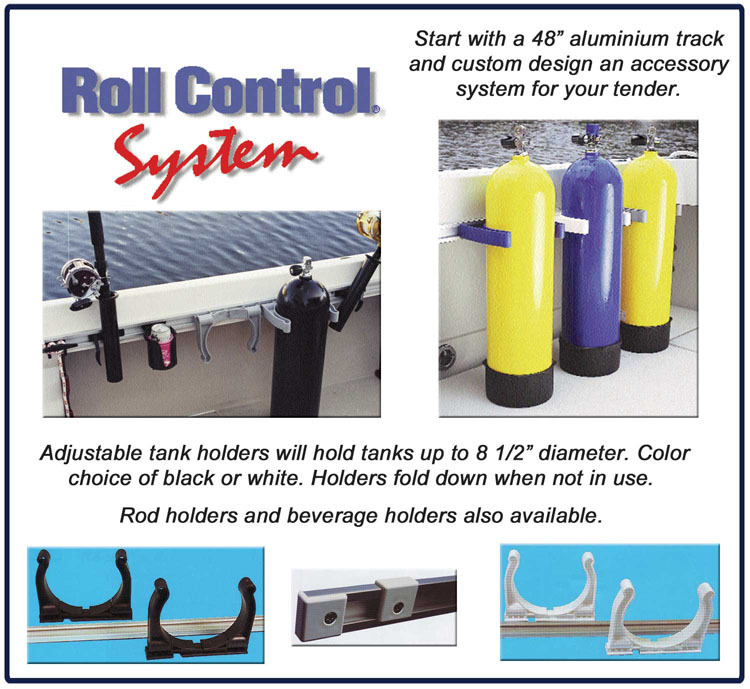 Systems from Roll Control store your tanks inside or out. 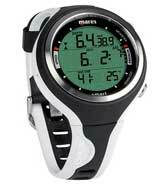 We stock a large selection of Analogue Gauges and Dive Computers from Suunto, Scubapro, Mares and Sherwood. Dive Computers improve safety, can lengthen bottom time on multiple dives and allow reverse profile diving (a huge advantage when exploring a dive site for the first time) - starting at under $300 for a simple wrist computer that still does it all this is a piece of equipment well worth the investment. Having customers from all over the world, we stock both Metric and Imperial Analogue Gauges and Dive Computers. Click here to browse our Buying Tips for Dive Computers. As Authorized Dealers, all Dive Computers we stock carry their manufacturers warranty. Feel the need for speed? Come in and ask about underwater scooters. 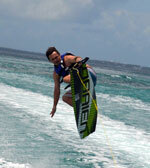 SEABOB Caribbean, based at The Scuba Shop in St Maarten, is a full service SEABOB Sales, Rental and Service Center. Looking for some serious fun on the fastest water sled in the world? Then you�ll love the German made SEABOBs. These high end underwater scooters can take you up to 12.43 mph/ 20 kmph and down to 130 ft/ 40 m. The power of a SEABOB delivers an enormous kick and will satisfy your need for speed 100%. The outstanding properties of the SEABOB F5 and F5 S in terms of handling make them suitable for use in water anywhere. Their special degree of dynamism in the water results from the high performance of the craft coupled with the low power-to-weight ratio. The SEABOB F5 has an unanticipated agility in the water and an extremely low vehicle weight of 29 kg, making for optimal handling properties. The E-Jet Power System in the SEABOB F5 is controlled in 4 power levels. These increments guarantee absolute fun and pleasure. The SEABOB F5 S, also extremely light weight at 35 kg, distinguishes itself by it�s strong driving performance and it�s irrepressible propulsion in the water. The SEABOB F5 S boasts an impressive propulsive force of 680 newtons. The E-Jet Power System is controlled in 6 power levels. These gears allow you to glide along at a relaxed pace in a low gear or, for more ambitious high-speed driving, switch up to the 6th gear. 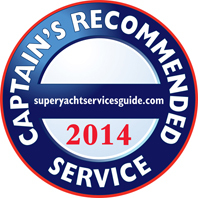 The craft has a highly sporty character and stands our in terms of its extraordinary dynamism. Finally a SEABOB one person can carry around with ease! Limited quantities will be stocked in St Maarten for Sale and Rental - don't leave your orders until the last minute. 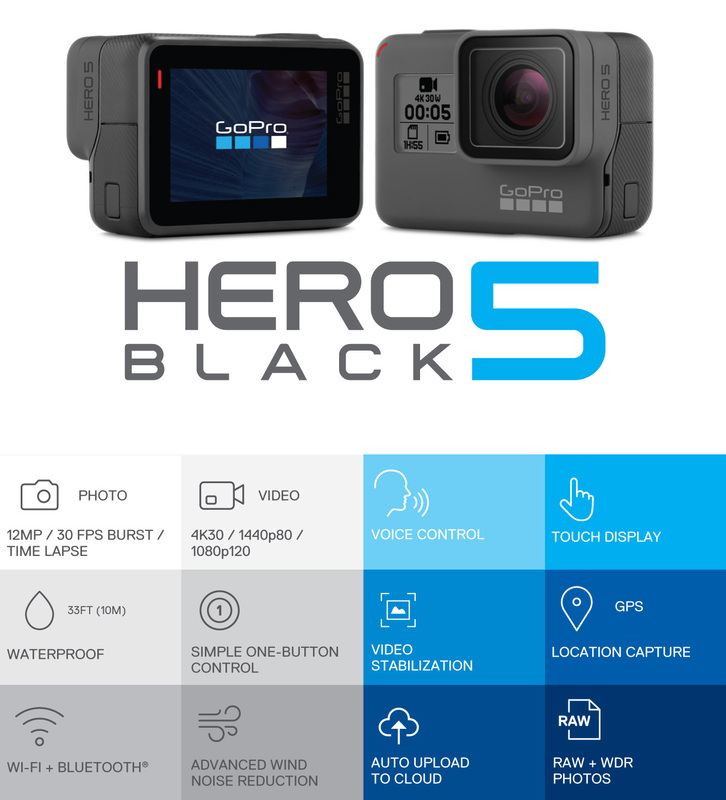 We stock GoPro Cameras and a full range of Accessories. Prefer a more traditional digital camera? 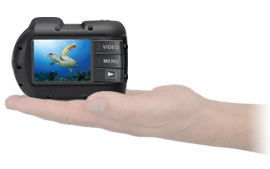 For those of you who prefer a more traditional digital camera, we stock both the 13 megapixel HD Video Micro HD Camera in both the 16GB and 32GB with WIFI versions and the 14 megapixel HD Video DC1400 SeaLife Camera and a full range of their accessories. SeaLife cameras, in addition to all the usual features you would expect, include easy to set color correction software built right in so your pictures come out looking great. 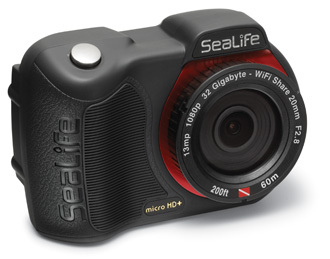 Capture the tranquil beauty of the undersea world with the first permanently sealed, flood-proof underwater camera. The Micro HD+ has no doors or openings that could possibly leak. With 32GB of onboard memory and a high capacity internal battery, there's no need for memory cards, batteries, O-rings, or maintenance. 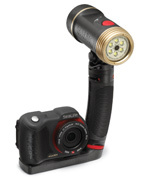 Small and ergonomic, the Micro HD+ camera is easy to handle underwater, operating with three wide �Piano Key� controls. With colorful 13MP still images, full 1080p HD video and a built-in 140-degree Fisheye Lens, the Micro HD+ provides everything needed to capture and share your underwater encounters down to 200 feet/60 meters. An Easy Setup Guide provides a fast and intuitive way to select a color correction mode for your diving environment. Get even more color out of your shots by easily expanding the Micro HD+ camera with one or two Sea Dragon Lights and Flex-Connect Trays, Grips, Arms and accessories. The Micro HD+ can wirelessly download and share images and video to smartphones and tablets through a free iOS or Android app - perfect for backing up and sharing your photos and videos immediately after a dive or during a vacation. 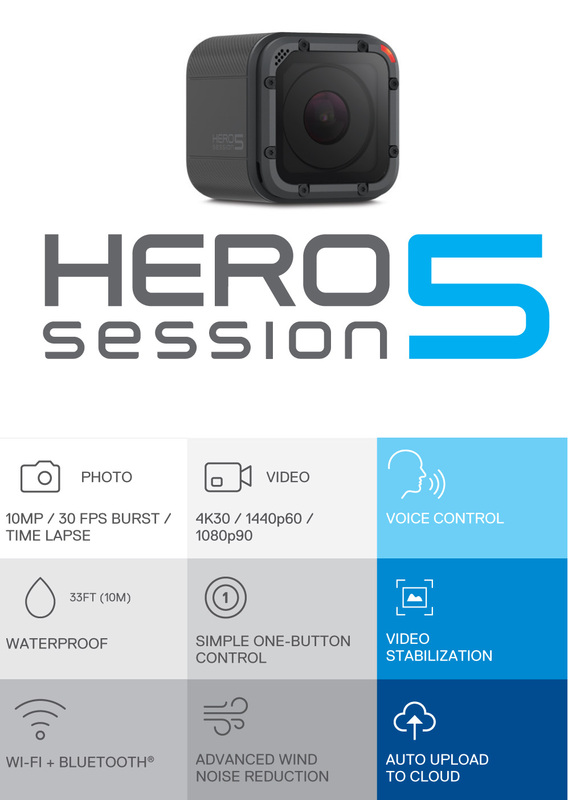 The app also allows for wireless control of the Micro HD+ camera to capture and review photos and videos. Click here to read our Photography Tips to get that really great picture or better yet, take the PADI Digital Underwater Photographer course. In 1984 SCUBAPRO� launched an entire TEK line under the name S-TEK. Today, their new X-TEK products incorporate many years of knowledge and experience offering tech divers exceptional results. No matter where your dives may take you: to the most mysterious caves, in old, dilapidated ship wrecks or in the deepest depths of the oceans, with the X-TEK products from SCUBAPRO you will always have a reliable and safe companion. We are dealers for both Bauer and Brownies Compressors. 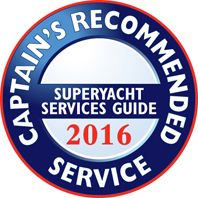 From simple "portable" systems to custom yacht and dive shop installations we can discuss your needs and find you the perfect system. 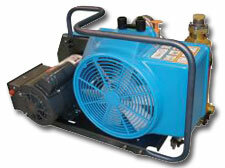 With supply from Bauer USA we can get your choice of compressor within a week if not in stock. We have both Synthetic and Natural compressor Oils in stock as well as a variety of Filters and spares for your Fill Whips. Our Bauer Technicians can service and/or repair your Bauer compressor (and all Bauer based compressors such as those from Brownies) and test your Air Quality. Ten ebooks now available for purchase - or purchase a real book in our store, or on-line and have it shipped to you. PDF ebooks can be loaded into 6 different personal devices. Viewed on Adobe Digital Editions available for Mac OS, Windows OS, Mac iOS and Android devices. For fun on top of the water, we stock a full range of OBRIEN Wakeboards and Water Skis (both JR and Adult), Towables and Accessories. 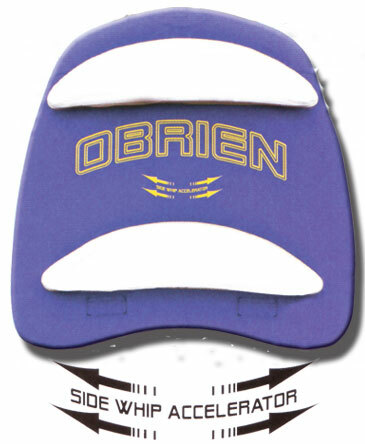 Our favorite tube is the OBRIEN Flipside available for 2 or 3 riders. With the Side Whip Accelerator Base the Flipside guarantees a wild ride! Wakeboards and bindings are sold separately so you can customize your ride. OBRIEN "ski" vests, infant to adult, in both nylon and neoprene. We also stock a range of Bodyboards, Skimboards and Beach Toys to keep you busy at all times. To keep you looking good both in and out the water we have a great selection of Columbia Sportswear and ONeill Swimwear and Sportswear for men and women (and a small selection for children). Spending so much time in our glorious sun, you need to make sure that you protect yourself from damaging rays both in and out the water. While in the water or on the beach, from Deep Blue, Scubapro and Mares we have a great selection of UPF50 rash guards to wear while snorkeling. 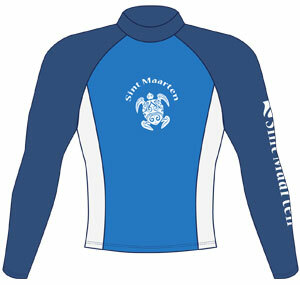 A rash guard is designed to fit snugly to your torso. If you prefer something a bit looser we have a selection of "swim" shirts from Columbia Sportswear. 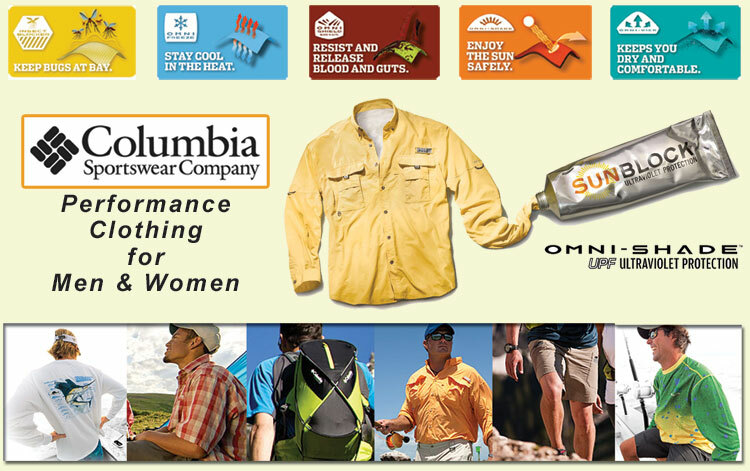 While on top of the water, on the beach, boat or street, we stock a great selection of UPF clothing and hats from Columbia Sportswear - all recommended by the Skin Cancer Foundation. We also stock a full line of Sun Bum suntan lotion, and because they are so much fun, Sun Bum footballs, beach bats and towels.